I hope this beautiful morning finds you well! 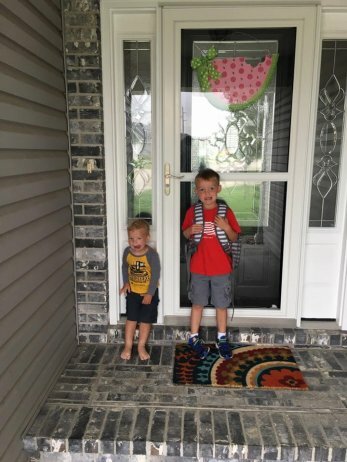 We've started school this week so things have been a "bit" crazy trying to get the boys settled into a routine! And needless to say mom is exhausted and looking forward to a relaxing weekend. But before the weekend comes we've got loads of NEW stuff in store! Let's check it out! Where are my Buttermilk Basin girls? 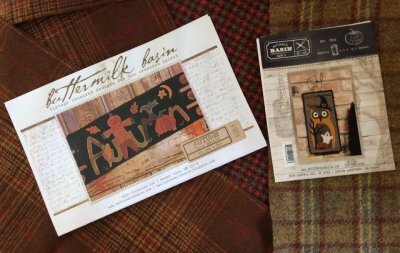 We've got a load of gorgeous fun NEW fall patterns in! I'm loving the owl and thinking that shall be my next project...which do you love? 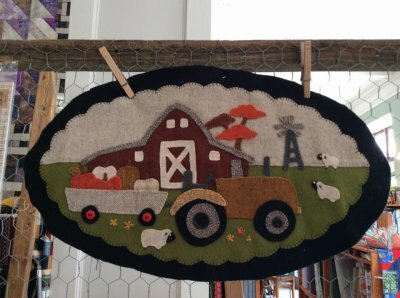 Plus we have the Vintage Farm Girl tractor sample up! It turned out absolutely darling! 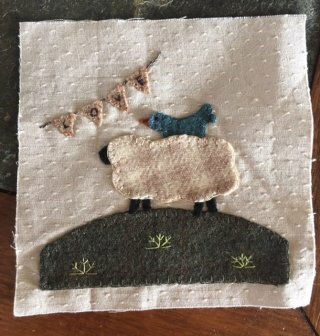 Find our selection of wool kits here! There is something for everyone! 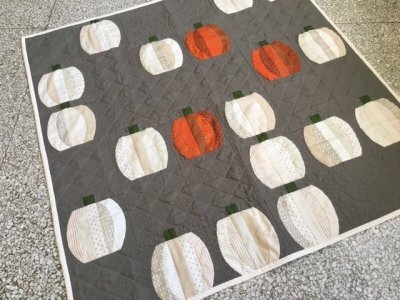 Looking for a fun pieced project for fall? Check out the Mini Pumpkins made using the Mini Quick Curve Ruler! 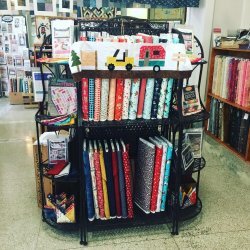 Kits and patterns available! We also released the next block in the Count Your Blessings Mystery Block of the Month! I'm thinking mister blue bird and miss sheep have quite the friendship! See more blocks here. 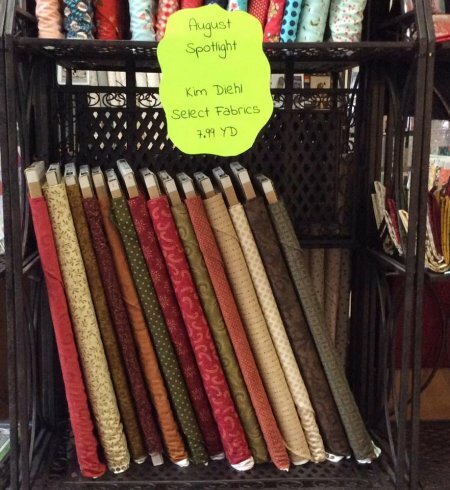 Select Kim Diehl fabrics $7.99 per yard. This is a great time to grab backings or pieces to fill in your collection! At this price they won't last long. Can't make it into the store? Check the sale fabrics out here. We are also ready with the fun Here A Chick There A Chick in wool on flannel! 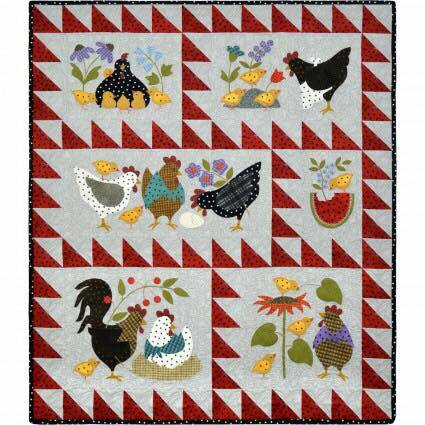 This is the cutest wall hanging to add to any kitchen or dining space! 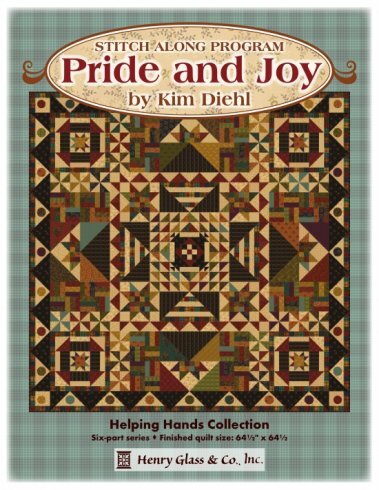 Kit includes background flannels, sashings, binding, wool, pattern & buttons. We also still have a couple of the laser cut pre-fused kits available too! Click here for more info. The clocking is ticking to get your Row by Row pattern & kit! Rows head into hibernation September 6th! Check out this year's row! 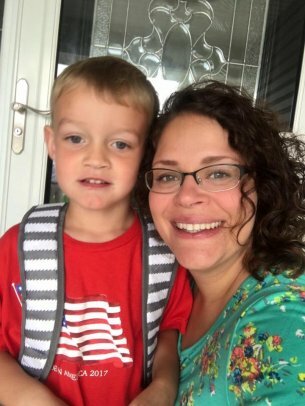 Well Grayson seems to be enjoying school so far. It's always scary to go someplace new and make new friends! We are very proud of the young man he's becoming! I hope you all have a wonderful weekend and grab yourself some time to sew!